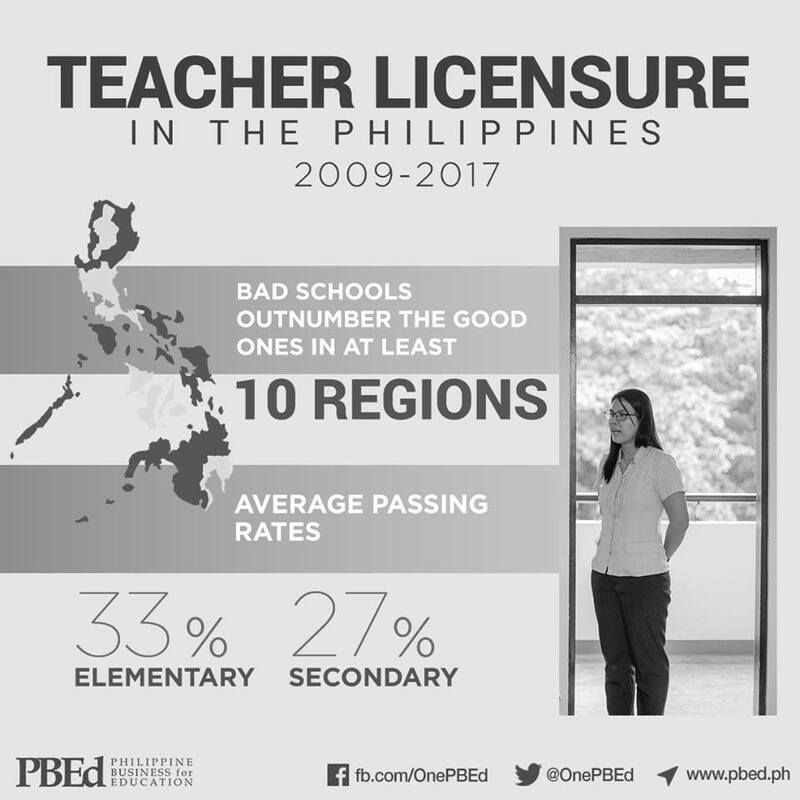 The non-governmental organization Philippine Business for Education (PBEd) has been calling our attention to the fact that teacher aspirants are not doing well in the licensure exams. 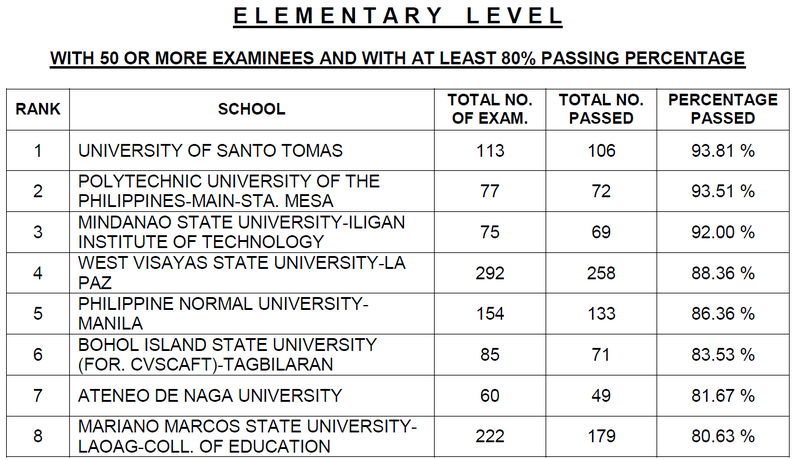 Last year's exam has been especially disturbing with the passing rate for elementary teachers at 11%, and for high school instructors at 26%. 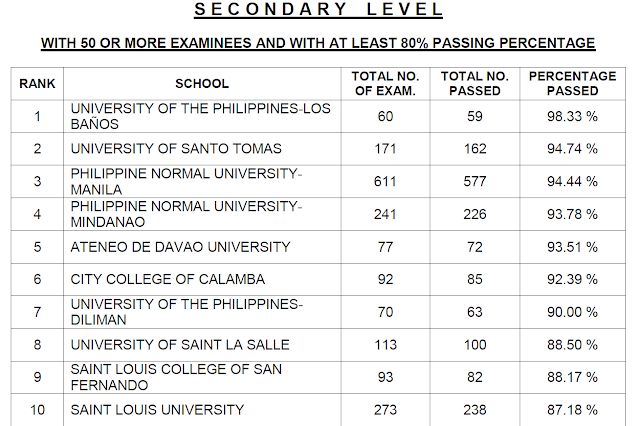 The dismal passing rate is obviously a serious problem so it is good that an organization is taking note of these results. Being aware of the problem, however, is only the first step. Understanding the problem is a necessary next step. Otherwise, we will propose solutions that do not make sense. When it comes to solutions, PBEd does not really have a good record for it is one of the advocates of DepEd's K to 12. With teacher problems, PBEd likewise proposes the wrong solutions: Make the contents of the exam public and change it so that more teachers can pass. The same goes for high school teachers. 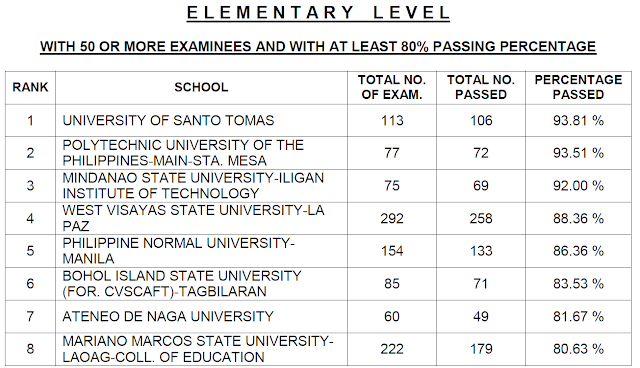 Those who graduate from premier teaching schools are doing well in the licensure exam. There is nothing wrong with the exam. These exams are not meant to predict who is going to be an effective teacher. These exams, like other standardized ones, are only meant for minimal qualification. Thus, the problem lies in the teaching schools. 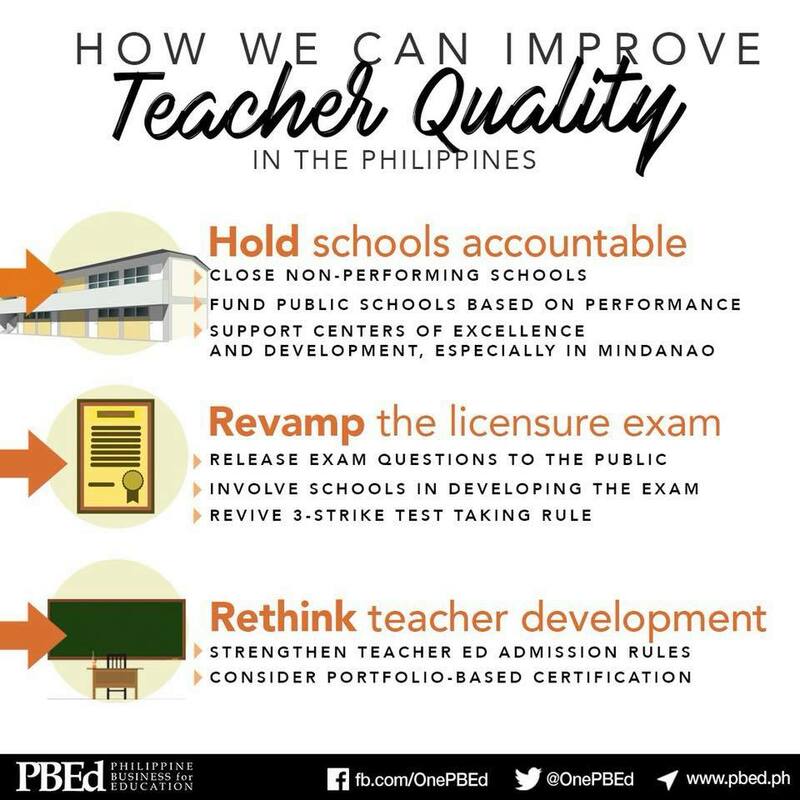 For this part of the problem, PBEd simply proposes to close non-performing teaching colleges, completely ignoring the fact that teachers are still very much needed in the Philippines especially with an increasing number of children enrolling in its schools. PBEd suggests that funding should be tied to performance. Again, this completely ignores the fact that a teaching college may not be performing because it is lacking in resources. Funding after all should be tied to need. And on the input side of teaching colleges, PBEd wants to address admission rules. There is nothing one can do with admission rules to increase teacher quality if good students are not attracted to the teaching profession. Good people are not attracted to teaching because of how teachers are currently treated. A good solution can never be reached without a clear understanding of the problem. 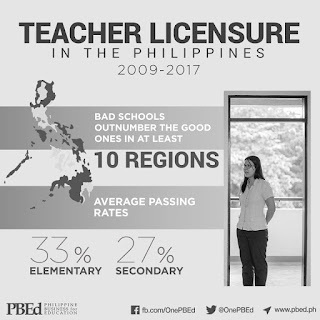 Sadly, this is the case with teacher quality in the Philippines. This is not a problem where a business perspective works. Schools are not factories, and both students and teachers are neither merchandise nor produce.